With a staggering 1.3 billion, India surely has become an overpopulated country. It is good to have such a humungous man-power, but it has its own cons. The crowded streets are leading to an increasing in the rate of road accidents. In major cities like Delhi, Mumbai and so on, the rate of road accidents and death is noticeably large. Despite that, there are very few people insured with personal accident cover. Accidents are unfortunate. Though health insurance or term insurance provides coverage for financial needs in case of hospitalisation or death of the policyholder, they are not sufficient. The accident may lead to death or permanent disability of bread-winner. Either of these consequences can cause a great financial imbalance in the family. Accidental insurance protects the family of policyholders from this imbalance. It takes care of major expenses after the demise or permanent disability of the policyholder. The policyholder can nominate any of his/her family member/s to receive the sum insured by the insurer. In case of death of the policyholder, the nominees receive 100 per cent sum assured. Seeing own family without financial resources is one of those things that can happen with a disabled accident survivor. Whether the disability is temporary or permanent, one definite thing comes next to it is the loss of income. 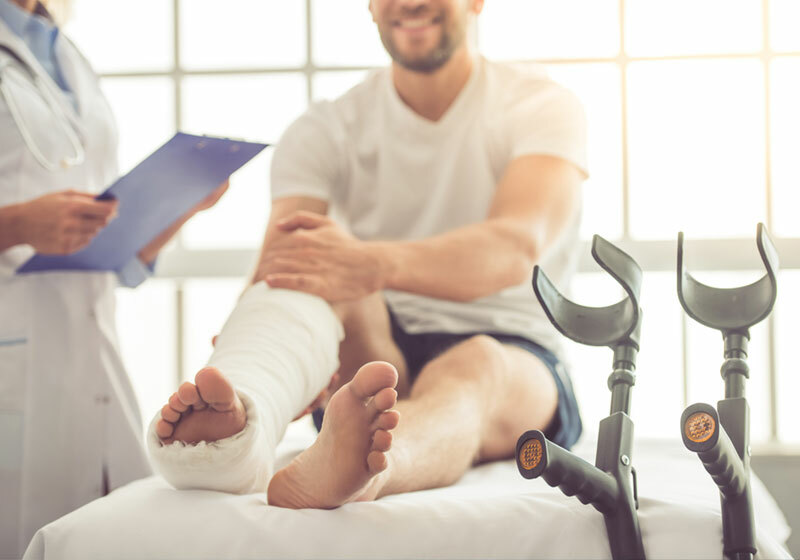 Permanent partial disability (PPD): In the case of temporary accidental disability like loss of eyesight or broken bones, the policyholder gets a certain percentage of the amount for a specific time to cover daily expenses. Permanent total disablement (PTD): These type of injuries includes loss of limbs that prevent policyholder from attending his/her work with the same abilities as they had before the accident. Some injuries are so severe that there is no room for improvement. Having personal accident insurance is very helpful in such cases as the policyholders get a total sum insured by the insurance company. Temporary total disability (TDD): In the case of TDD, the accidental insurance holder receives an amount to cover his/her daily expenses. These are the type of injuries that neither result in death or permanent disability, however still prevent the person from performing everyday work. The common examples of this type are back injuries, amputation, loss of hearing, damaged vision or carpal tunnel syndrome. Unlike health insurance plans, the premium for accident policies is equal for everyone. There are no discounts in premium for the people who have healthy life habits. Most of the professions are covered under accident policies, excluding high-risk jobs like air-hostess or adventure sports like sky-diving. As premium is lesser than term insurance, the sum assured is also low. Generally, the sum assured for accidental policy ranges from Rs. 25 to 30 lakhs, which can go up to Rs. 1 crore for term insurance. No Comments on "Benefits and Exclusions of Personal Accident Insurance"